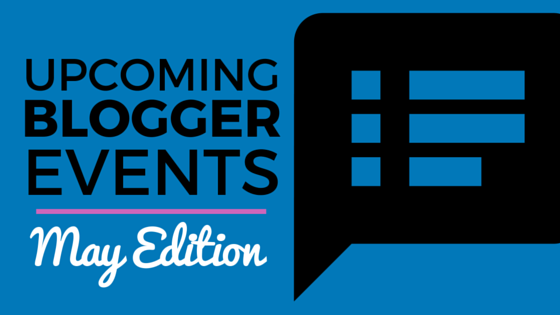 The blog event calendar is beginning to get busy. Let’s get right into it. May (Multiple Dates). Blogging Concentrated – New Zealand! This event, put on by Audience Industries, takes place over several days and cities within New Zealand. Audience Industries aims to bring people together: “Our only goal is to help you retire, help you pay back your family for all the time they sacrifice while you blog, to help make tomorrow easier than today,” the site says. Blogging Concentrated takes place in Auckland May 1, 9, and 10; in Dunedin May 3 and 4; and in Wellington May 5 and 6. May 19-21. Everything Food Conference 2016. Food bloggers – this event comes with lots of hands-on experiences, learning and eating. The conference has a range of speakers, including popular bloggers and celebrity chefs. It takes place in Salt Lake City, Utah. June 10. TECHmunch Chicago. The TECHmunch Food Blogger Conference returns to Chicago. It will feature culinary and digital media experts. The conference will be focused on sharing the hands-on tools and tactics food bloggers and culinary content creators need to create great content, build an audience, and turn their passion into profit.